In this article the authors discuss the process of designing a digital experience to support prospective teachers to learn to enact an equity-based complex practice of mathematics teaching, namely to notice students’ mathematical strengths rather than notice gaps and deficits in their thinking. LessonSketch is a web-based platform purposefully designed to support the work of teacher educators. After theorizing how approximations of practice provide prospective teachers with ways and means for leveraging complex, equity-based pedagogical practices, the authors describe how they used LessonSketch to design a flexible digital learning experience for prospective teachers in mathematics methods courses. The authors reflect on the design choices they made, the challenges they faced, and the educational potential of their LessonSketch experience. They conclude by sharing design considerations and challenges that guided their work together and that could guide other mathematics teacher educators to support prospective teachers’ learning of complex pedagogical practices. Bannister, N., Kalinec-Craig, C., Bowen, D. & Crespo, S. (2018). Learning to Notice and Name Students’ Mathematical Strengths: A Digital Experience. 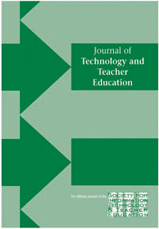 Journal of Technology and Teacher Education, 26 (1), 13-31. Waynesville, NC USA: Society for Information Technology & Teacher Education. Retrieved April 23, 2019 from https://www.learntechlib.org/primary/p/181150/. Amidon, J., Chazan, D., Grosser-Clarkson, D., & Fleming, E. (2017). Meet me in Azul’s room: Designing a virtual field placement for learning to teach mathematics. Mathematics Teacher Educator, 6(1), 52-66. Ball, D.L., & Forzani, F.M. (2009). The work of teaching and the challenge for teacher education. Journal of Teacher Education, 60(5), 497-511. Boaler, J., & Staples, M. (2008). Creating mathematical futures through an equitable teaching approach: The case of Railside school. Teachers College Record, 110(3), 608–645. Cohen, E.G. (1994). Status treatments for the classroom [Video]. New York, NY: Teachers College Press. Cohen, E.G., & Lotan, R.A. (2014). Designing groupwork: Strategies for the heterogeneous classroom (3rd ed.). New York: Teachers College Press. Cohen, E.G., Lotan, R.A., Scarloss, B.A., & Arellano, A.R. (1999). Complex Instruction: Equity in cooperative learning classrooms. Theory Into Practice, 38(2), 80–86. Fleming, E., Grosser-Clarkson, D., & Bowen, D. (2015) Posing purposeful questions: An approximation of practice using LessonSketch. In T.G. Bartell, K.N. Bieda, R.T. Putnam, K., Bradfield, & H. Dominguez. (Eds.). Proceedings of the 37th annual meeting of the North American Chapter of the International Group for the Psychology of Mathematics Education (pp. 1251). Herbst, P., Chazan, D., Chen, C.L., Chieu, V.M., & Weiss, M. (2011). Using comics-based representations of teaching, and technology, to bring practice to teacher education courses. ZDM Mathematics Education, 43(1), 91-103. Herbst, P., Chazan, D., Chieu, V.M., Milewski, A., Kosko, K., and Aaron, W. (2016). Technology-mediated mathematics teacher development: Research on digital pedagogies of practice. In M. Niess, K. Hollebrands, & S. Driskell (Eds. ), Handbook of Research on Transforming Mathematics Teacher Education in the Digital Age (pp. 78-106). Hershey, PA: IGI Global. Herbst, P., Chieu, V.M., & Rougée, A. (2014). Approximating the practice of mathematics teaching: What learning can web-based, multimedia storyboarding software enable? Contemporary Issues in Technology and Teacher Education, 14, 356-383. Horn, I.S. (2005). Learning on the job: A situated account of teacher learning in high school mathematics departments. Cognition and Instruction, 23(2), 207–236. Horn, I.S. (2007). Fast kids, slow kids, lazy kids: Framing the mismatch problem in mathematics teachers’ conversations. Journal of the Learning Sciences, 16(1), 37–79. Jacobs, V.R., Lamb, L.L., & Philipp, R.A. (2010). Professional noticing of children’s mathematical thinking. Journal for Research in Mathematics Education, 41(2), 169-202. Jilk, L.M. (2016). Supporting teacher noticing of students’ mathematical strengths. Mathematics Teacher Educator, 4(2), 188-199. Louie, N.L. (2017). The culture of exclusion and its persistence in equity-oriented teaching. Journal for Research in Mathematics Education, 28(5), 488-519. Nattinger, J.R., & DeCarrico, J.S. (1992). Lexical phrases and language teaching. Oxford: Oxford University Press. Nattinger, J.R. (1980). A lexical phrase grammar for ESL. TESOL Quarterly, 14(3), 337-344.